Later today, Mondo is releasing a killer new movie poster by the great Lee Bermejo for Martin Scorsese's Gangs of New York! 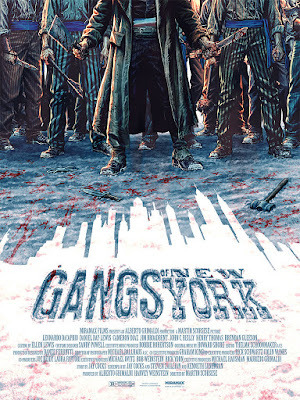 As Mondo explained, “Lee Bermejo is one of our favorite artists and his bottomless talents prove a beautiful match for Marty's grimy and brutal epic.” Set in the Five Points district of 1863 New York, the film focuses on Irish immigrant Amsterdam Vallon as he seeks revenge against his father's killer - William Cutting, aka “Bill the Butcher.” Scorsese's American epic is grandiose and full of gorgeously detailed mid-19th century production design as well as great performances, including a particularly magnetic Daniel Day-Lewis as Bill. 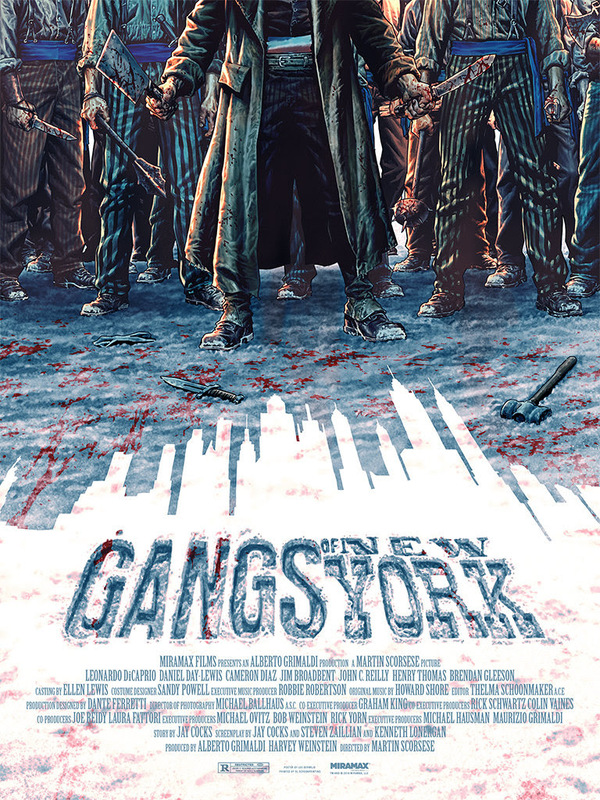 Gangs of New York by Lee Bermejo is an 18”x24” hand numbered screen print. Limited to 225 pieces, this movie poster will go on sale at a random time today, Thursday, August 2nd, at the Mondo online store for $50.